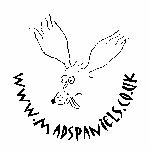 The MadSpaniels Spaniel Agility League is for all Spaniel breeds or Spaniel/Spaniel crosses, e.g. Sprockers. Your Spaniel doesn’t have to be registered. If it looks like a Spaniel, you’re in! We aim to keep this league fun, friendly and inclusive and hope everyone taking part will, too. The MadSpaniels Agility League is running again for 2014 and there are lots of new members already. If you fancy joining in the fun, please have a look on our FB page or our website. The league is open to all Spaniels including CKCS and all Spaniel crosses. So far we have 133 members. Welcome to the new MadSpaniels Spaniel Agility League. After several years of being owned by and competing with our own mad spaniels in agility rings all over the country, we decided it was to to set up a league open to all Spaniels. The League will run from 1 January 2013 to 31 December 2013 (inclusive). There is an annual fee of £1.00 per dog. This League runs on an honesty policy. The Administrators for the League are Jo Wormald & Mark Evans. Should we have enough Spaniels come forward, we will split and award prizes by height and or grade as numbers dictate. The owner is responsible for changing grade and/or height at the start of the New Year. Points are for the dog, so it doesn’t matter who runs him. Points for more than one dog cannot be added together. Points from Anysize/All Sorts and Veteran classes count. We accept points from KC and Independent shows – see the points tables to see how these are awarded. All dogs registered must be minimum 18 months of age. The annual fee is to be paid on submitting your first points claim form. Points can be claimed from all shows including KC Open or Limited and Unaffiliated shows such as UKA, EMDAC, ABAA, but not from Invitational events, Leagues, Single breed only and Inter-club shows. The show schedule must be available for all to enter, if they so wish. Points can only be claimed for ‘scheduled’ classes, but not teams, trios, pairs, final rounds, Invitational events or pay on the day. In events where the best round out of two (for example) counts, only the one round can be claimed. Points can be claimed for all standard ‘singles’ classes, including KC Championship qualifying rounds but not the final. Points may also be claimed for the UKA Masters combined result but not the individual rounds. Points can be claimed for the KC special classes such as Helter Skelter, Gamblers, TFO, Steeplechase style jumping but not Circular KO. Points can also be claimed for Games classes from UKA and other Independent shows as above but not KO events. Points can only be claimed if a placed rosette is presented by the show, otherwise clear round points must be claimed. Clear round points can be claimed for clear rounds within course time, even if no clear round rosette is awarded by the show. When claiming points the show, date, class and place must be stated. Points can be emailed to jo@madspaniels.co.uk or submitted by private message on our Facebook group MadSpaniels Agility League, or by post to J Wormald, 12 Airedale Terrace, Skipton, BD23 2BA. The League tables will be monitored for errors, it is up to members to inform the administrator of any errors that they may have completed that will require adjustment. There are two points’ scales, one for KC Open Shows and the other for all KC Limited and Unaffiliated Shows. We wish to endeavour to be as inclusive as possible with the range of show organisations that are now available for our members to attend, and we will always attempt to cater for this. On registering the dog onto the League tables the member must nominate the height that the dog is competing under. For ease of reference we will use only Large Medium and Small. However if your dog competes at non KC shows and jumps at a different height there to his usual KC measure (for example a dog measuring KC Large, but UKA Standard), these points are still able to be claimed. League Award Categories = 3 Heights Large, Medium & Small. Dogs must be registered into one of these heights categories only, even if they jump higher or lower elsewhere. Until we have a firm idea of the number of Spaniels who will be taking part, we cannot guarantee how many prizes will be awarded. However, we do need to know the grade your dog competes at, so that if numbers allow we can split grades out and offer more prizes! The grade that the dog is entered into at the start of the League year is where the dog stays until the next League year. We will also be offering a special prize for the rescue dog with the highest number of points, so if your dog is a rescue, please make sure we know! We reserve the right to make changes to the MadSpaniels Agility League.